Where Can Women Go to Get Small Business Loans? -- Check Out These Top 10 Places! Women-owned businesses are now growing faster than businesses owned by men. What is so extraordinary about this new turn in business is that women have to overcome far more obstacles than men, particularly when it comes to financing. 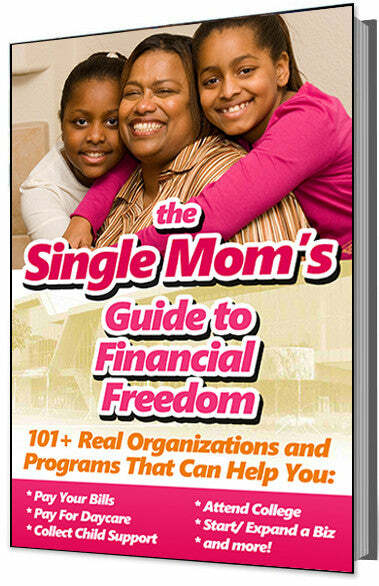 They often have to use their own personal savings in order to start or grow their businesses. #1 - ACCION - this private, nonprofit organization will give up to $50,000 in microloans to low and moderate-income entrepreneurs, including women and minorities. #2 - Key Bank - has a good record of lending programs for women in business. #3 - Grameen Bank-New York - this bank has a successful women’s microloan program in Bangladesh which is now available in New York. The bank approves over $100 million in microloans every month. #4 - The Delaware Access Program - this program makes is possible for women, minorities, and other small business owners to gain approval for loan programs and receive loans they might not be eligible for through other more traditional types of lending programs. #5 - Illinois Minority, Women, and Disabled Participation Loan Program (MWD/PLP) - women, minorities and disabled small business owners can qualify for loans up to $50,000 through this program. Their businesses must employ fewer than 500 full-time employees. #6 - Mississippi Development Authority Capital Access Contract Loan Program - this program is for small business, disadvantaged businesses, and minority- and women-owned businesses needing funding for public construction projects or a public construction related project. #7 - The Massachusetts Capital Access Program (CAP) - this program is for small businesses who have annual revenue under $5 million and are located in the state of Mississippi. #8 - The New Mexico Community Development Loan Fund - provides alternative lending for entrepreneurs in New Mexico. The tax-exempt organization also offers training and business consulting services. #9 - Wisconsin Women's Business Initiative Corporation(WBIC) - has special programs for women who own small businesses, including loans up to $100,000. #10 - Women's Economic Ventures - this California organization offers low-interest loans to women-owned businesses that range from $1,000 to $50,000.